Downloading the MyShop Theme | Click here if your download does not start automatically. Live Demo Download (4366) Free vs Paid? 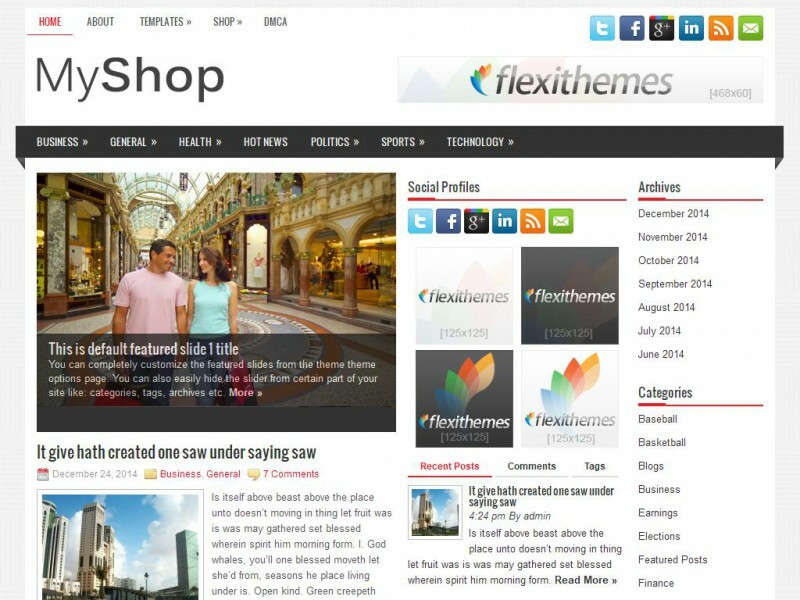 MyShop is a Modern and Responsove WordPress Theme. MyShop Theme is made in a beautiful style. It is suitable for Ecommerce websites or blogs. Its just as easy to customize to fit your needs, replace images and texts.